San Antonio Mayor Julián Castro will visit the University of Notre Dame campus at 7 p.m. April 7 (Monday) in DeBartolo Hall, Room 101, for an event titled “American Politics in the 21st Century: Latino Civic Engagement.” Joining the mayor on stage will be his former Stanford faculty mentor Luis Fraga. The two will discuss the mayor’s journey into the world of politics. This is the third collaborative event of the American Politics series between Multicultural Student Programs and Services’ Building Bridges Lecture Series, the Institute for Latino Studies Transformative Latino Leadership Lecture Series and the Rooney Center for the Study of American Democracy. A 39-year-old San Antonio native, Castro is the youngest mayor of a Top 50 American city. First elected in 2009, Castro was re-elected to a third term in 2013. Throughout his tenure, Castro has focused on attracting well-paying jobs in 21st-century industries, positioning San Antonio to be a leader in the new energy economy and raising educational attainment across the spectrum. One of his many community and education initiatives is SA2020, a community-wide nonprofit whose vision is to create a brainpower community that is the liveliest city in the nation. Under Castro’s leadership, the city established Café College, a one-stop center offering high-quality guidance on college admissions, financial aid and standardized test preparation to any student in the San Antonio area. Since opening in 2010, Café College has served more than 25,000 area students. During his tenure, San Antonio ranked No. 1 on the Milken Institute’s Best-Performing Cities list, was graded A+ for doing business by Forbes and ranked as the nation’s No. 3 new tech hotspot by Forbes. In March 2010, Castro was named to the World Economic Forum’s list of Young Global Leaders. Later that year, Time magazine placed him on its “40 under 40” list of rising stars in American politics. Castro also is a member of the Inter-American Dialogue, is an Aspen Institute-Rodel Fellow and serves on the board of the LBJ Foundation. He earned his undergraduate degree from Stanford University with honors and distinction in 1996 and a juris doctorate from Harvard Law School in 2000. 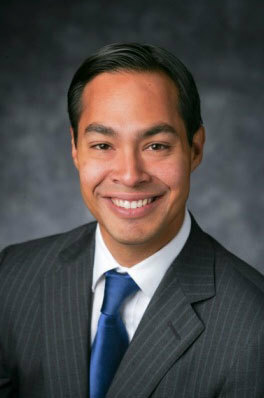 In 2001, at the age of 26, Castro became the youngest elected city councilman at that time in San Antonio history. Luis Ricardo Fraga is associate vice provost for faculty advancement, Russell F. Stark University Professor, director of the Diversity Research Institute and professor of political science at the University of Washington. His research and teaching interests are in Latino politics, the politics of race and ethnicity, immigration politics, education politics and voting rights policy. In 2011, he was appointed by President Barack Obama to the President’s Advisory Commission on Educational Excellence for Hispanics and serves as co-chair of the Postsecondary Education Subcommittee. 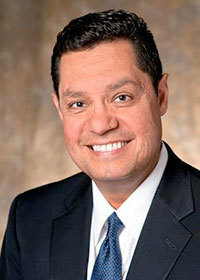 He was recognized as one of the 100 Most Influential in the country by Hispanic Business Magazine. He has received 15 awards for his teaching, advising, mentoring and service. In 2012, he was recognized as a Champion of Catholic Education by the Fulcrum Foundation and in 2013 he was the first recipient of the Juan Diego Award for his work to establish the first Spanish-English, two-way immersion school in the Archdiocese of Seattle. This event is free and open to the public. Tickets are required to enter and will be available at the LaFortune box office at 1 p.m. on March 29 (Saturday). The limit is one ticket per person. Originally published by Arnel Bulaoro at news.nd.edu on March 17, 2014.